New Management, New Style, Same Great Awesomeness! Welcome to the new look Physical Addiction Health and Fitness Web Site, which is all about telling you what we have here at Physical Addiction Health and Fitness Centre, where we have a passion for Group Fitness Classes / Free Weight Training / Cardio Training / Personal Training / Massage / Nutrition. We are privately owned and have been here as a Gym since 1973, currently owned by Fred Robins, with local Managers being Janette Fry and Kylie Pearson. 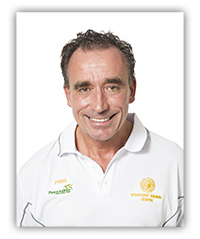 Kylie / Janette / Fred are the Team to welcome and support you with all your Health and Fitness and Nutritional requirements for a better lifestyle. The Physical Addiction Name was started in 2010 by Joe and Celine Puglisi and Celine is well known and respected by all our current members, so we all work together to support our New Members / Current Members / Long Term Members, as a Family Focused Health and Fitness Centre. 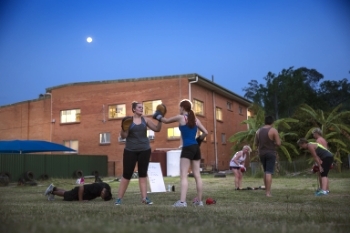 Our Group Fitness Classes are some of the best in Brisbane with Zumba, Zumba Toning, Les Mills Pump, Les Mills Attack, Abbs Butts Thighs, Yoga, Pilates on offer 7 Days a Week in our Group Fitness Room, with Zumba no one does it better than Physical Addiction as we have the Best Instructors in Brisbane . If you want a great work out and have great fun while doing so, our Zumba Classes / Pump Classes / Zumba Toning / Attack Classes will sure do this ! 6am Classes or 7pm Classes, we have Group Fitness Classes to suit you, if you have specific requests, we will try and support for you. Plus our Pool is Free to all our Members / Visitors to help cool down after a workout. Squash is avaible for all Members for a great Cardio Workout, voted by Forbes magazine as the No 1 Exercise to improve Health and Fitness through Cardio. Our Free Weights Room is complimented by our Cardio Equipment, plus 7 Squash Courts, as well as a Pool, and to help improve your Health we have a Naturopath and a Masseuse working out of our Centre to give you everything you need to look and feel your possible best. Our Gym Membership Price List is here on our Web Site, and we keep prices low as we are Privately Owned so we have the flexibility to cater to your needs, and have No Joining Fees and no Lock In Contracts, Fred / Janette / Kylie can discuss this with you, it gives us an advantage over the Cooperate Group Gyms. Plus we do Discounts for Couples / Families and have the option of Individual Visit Entry, Multiple Visits Cards, 6 Month Memberships, 12 Month Memberships, or Direct Debit weekly. You do not have to be a member to join in on any of our great group classes, just pay $10 each class and you are in. We do have child minding services available for certain classes, in our very own custom made child care room. Check the time table for current places. We have a Gym Only Price and an All Inclusive Price, plus for New Members we offer a Free 3 Day Pass to all our facilities , and for Members who stay with us long term we now offer additional support to say thanks for supporting Physical Addiction Health and Fitness Centre. To give us a Club Feel we have a Mini Café in the Foyer with Coffee Machine / Microwave / Toaster with Lounges for you to sit down and enjoy a Coffee / Tea / Snack. Our Group Fitness Classes are up here on our Web Site, with Zumba / Pump / Attack / Yoga / Pilates with days and times. Coming Soon – Mid 2014 Free Weights Room Outside called Muscle Beach. Late 2014 Military Style Boot Camp on One Quarter Acre of Land. Early 2015 Beach Volley Ball Court. Early 2015 Spin Bike Classes. Mid 2015 Café La Physical. Plus a Health Food Supplements Store later this year! Feel free to phone or fax or email us with any questions or enquires you have, we respond within 24 hours and thanks for taking the time to look around our Website, where we are passionate and proud to say we are Physical Addiction Health and Fitness Centre at Stafford Heights Brisbane .